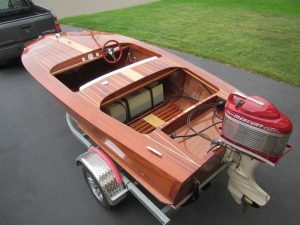 Come on out, bring your boat and run the winter cob webs out of that motor. Big Fish Lake is in the Ortonville State Recreation Area. All vehicles must display a current Michigan “Recreation Passport” license Plate sticker or pay a day use fee to enter. No “open exhaust” or loud motors on this lake. There will be no open swap and sell at this meet as this activity is not allowed in the State Recreation area. There is a picnic area near complete with a shelter and rest rooms. Wet meet, informal display, fun on the water! Hot dog Lunch.